As we all know, snakes are a bat’s natural enemy – they've been enemies ever since Mother Spacebat first flew into space all those years ago. The snakes are out in force to get you – you don’t know why, but you know you have to escape! 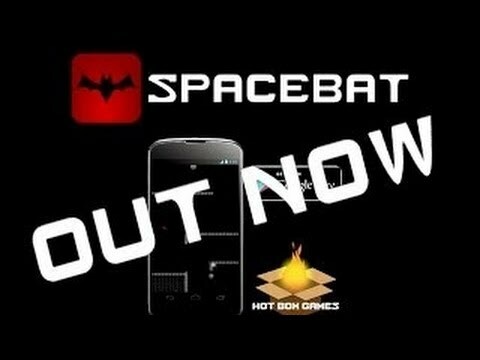 Spacebat is an arcade style game where players must ‘tap ‘n flap’ their way through various levels, whilst dodging a range of enemies & obstacles. Faced against a challenging set of levels combined with an endless ‘survival’ mode, players must hone their skills in order to complete this unforgiving yet addictive game. Endless Survival mode – how long can you last? 8 enemy snake types – varying deadly abilities. Lethal in-game obstacles – Cannons, Lasers & more! 3 special power-ups, including Spacebat’s deadly Super Dive. - Internet: Spacebat will need to use the ‘full network access’ permission in order to update automatically. It will also allow you to post your high scores to Facebook. Please Note: Posting is completely optional & requires further authorisation through the site’s own log in screen. If you encounter any issues, please contact us before submitting a review. This is our first ever game. We really appreciate you taking the time to view this app and hope you have as much fun playing as we did creating it! Note: This version of Spacebat will display some Google banner advertisements - including these allows us to release the full game for free. To remove these ads, you can purchase Spacebat.